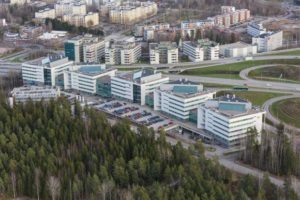 Nordika acquired the former head office of Nokia Solutions & Networks containing 36,000 sqm high quality office space in Helsinki, Finland. The property was 95% vacant when Nordika took possession. Nordika plans to lease up, invest and upgrade the asset over a 5-year period.